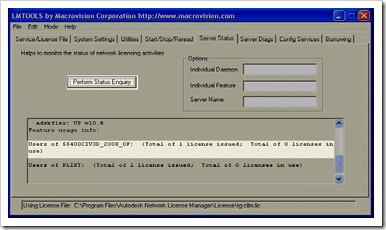 The task of configuring a license server can be a daunting task. Just the name itself implies cancel all of my afternoon meetings, get me some coffee, I’m going to be here a while. Thankfully that’s just the stigma surrounding the configuration of license files. Knowing that some of the other documentation out there can be a little confusing, I have attempted to summarize (with screen shots) the process as concisely as possible. Whichever method you choose, you’ll need three pieces of information. MAC ID or Ethernet Address of your primary NIC. You can generally find your subscription/serial number on the back of the CD/DVD case of your Autodesk product. As for the name and MAC id of your NIC; both of those can be obtained inside LMTOOLS. 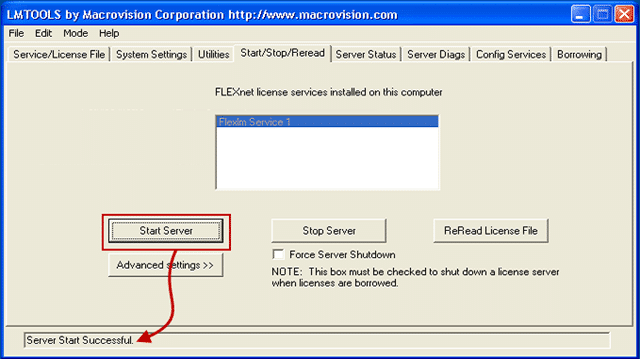 Once you recieve your license file (however you choose to obtain it), you can then proceed to configuring your license server. 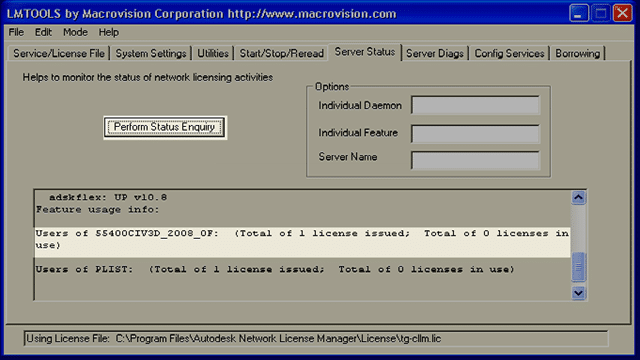 I store my license file in the aptly named “License” directory (C:\Program Files\Autodesk Network License Manager\License). My personal preference is to name the LIC file the same thing as my server. Launch LMTOOLS (if it isn’t already), and go to the “Config Services” tab. 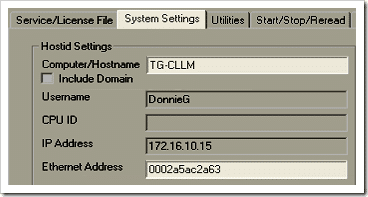 As a general rule you can simply accept the default service name “Flexlm Service 1”, although you are certainly free to specify some other name. Next we need to specify the path to lmgrd.exe. You can use the [Browse] button to browse to it’s location: C:\Program Files\Autodesk Network License Manager\lmgrd.exe. A debug.log file is not necessary for the server to work, but can prove invaluable when troubleshooting licensing issues. To configure this, simply create a file named debug.log, and save it in your “Autodesk Network License Manager” directory. Once created, simply browse to the file from LMTOOLS. I really wish this was enabled by default, but it’s not. Be sure to check the “Use Services” option, and then the “Start Server at Power Up” options so your license server will automatically run when ever your machine is running. The final step to configuring the server is to press the [Save Service] button, and accept the prompt to save your settings. Launch LMTOOLS (it it isn’t already), and navigate to the “Start/Stop/Reread tab. And that’s a wrap; you now have an operational license server. While this post does document how to configure a license server, know this post should not be considered official Autodesk documentation. Sorry, this is an old post, but your page heading is “Setting Up & Configuring a Distributed License Server”. You’ve made no mention of how to set up a Distributed License Server? What you’ve done is explain how to set up a Single License Server, a distributed server is when you split the licenses across multiple servers and provide a certain level of fault tolerance. That might sound like me being a needless whinge, but I’m actually currently searching for some documentation on how to implement this in practice and came across this… I’m not having a go, just think you shouldn’t have titled this ‘Distributed’ as that means something totally different. I have the license server running and I have deployed civil design to a work station, but when I fire up civil design it still asks for the authorization code? @ nick – A network install shouldn’t ask you for an auth code, which makes me think your deployment may have installed as a standalone version. My recommendation would be to verify your deployment, making sure you have entered the correct server name(s) in there. You can also check which license servers your machine is looking to from the “HKCU\Software\FLEXlm License Manager” registry key. Anything beyond that I would recommend contacting your reseller, or submit a ticket through the Autodesk Subscription Center. @ nick – A network install shouldn’t ask you for an auth code, which makes me think your deployment may have installed as a standalone version. My recommendation would be to verify your deployment, making sure you have entered the correct server name(s) in there. You can also check which license servers your machine is looking to from the “HKCUSoftwareFLEXlm License Manager” registry key. Anything beyond that I would recommend contacting your reseller, or submit a ticket through the Autodesk Subscription Center. My issue in regards to license distribution is, our local office has 11 Revit Arch 2009/2008 licenses. Those are obtained just fine. We have a remote office in another city, connected by a fulltime VPN. 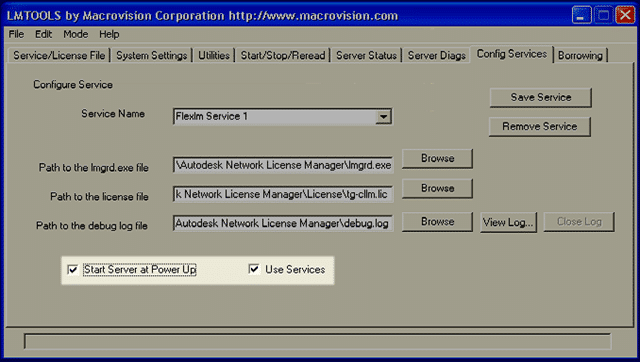 Revit 2008 obtains a license just fine, when installing Revit 2009 on the same remote network, it will not obtain a license. Even when no other Revit Licenses aren’t being used. Specified in the Environment Variables to look for a specific ADeskFlex Server. 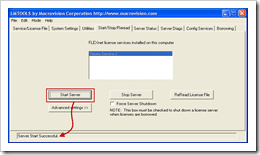 Specified in the Windows Registry to utilize a specific ADeskFlex License Server. Configured a Firewall Service and Rule to insure that Port 2080 was open and unrestricted. 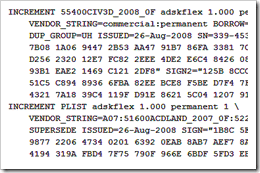 Can Ping the AdeskFlex License server by name and IP. Can resolve the server via NSLookup to insure there’s no DNS issue. In response to the Post from Donne Gladfelter. The “new” license files generated for the Autodesk 2009 products, provided you’re on subscription will allow the use of any Autodesk version of products that you’re licensed for. 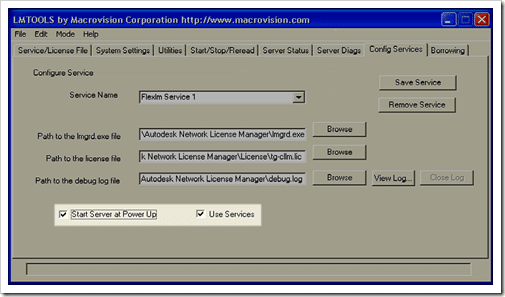 For example if you have (5) licenses of Revit 2009, it will also allow you to run Revit 2008, Revit, 9.1. However it only allows a combination of instances up to (5) licenses. AutoCAD licenses go all the way back to AutoCAD 2004. But the same rule applies: While you can run 2004, 2005, 2006, 2007, 2008, & 2009, you can only run the number of instances you have licenses to run concurrently. I’d like to know how to get license file (.lic) after registering the software. @Rahul – Your question ventures into the realm of the Autodesk License Agreement. I’ll refer you to Autodesk for what they will and will not allow you to do. As for FlexLM, it’s not tied to any specific release. 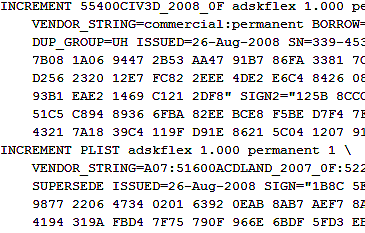 The license file is nothing but a text file with an encrypted string. To have two products running on the same FlexLM server, simply paste both license files into a single license file, and FlexLM will serve up licenses for each product. This is really useful explanation. I have one question though. How does it work in terms of upgrading release. Lets say we have Revit 2008 and wants to configure Revit 2009 on the server as well. As you would be aware Revit will not allow back save so i would also want to keep 2008. We will have some projects running on 2008 and some on 2009. So how does this license file work? I believe total Revit open instances would be same as no. of icense availalbe and can be mix of 2008 and 2009. But how does license work? I understand that FLEXLM is unique to each release. @Rick – I have not had a chance to set up a license server on Vista (or Server 2008 for that matter). Whatever the case, I would take a look at the UAC settings for Vista. Altering those MAY make it possible to write to program files, but I can’t say for sure. On that note, I would be interested to know if you find a way to pull this one off. A question about the debug.log location and Windows Vista. Does Vista allow the license server to write into c:\Program Files? I was of the impression that Vista restricts all writing to that space (but would be very happy to learn this is not the case). A question about the debug.log location and Windows Vista. Does Vista allow the license server to write into c:Program Files? I was of the impression that Vista restricts all writing to that space (but would be very happy to learn this is not the case).